This week's radio show guests have helped make a big week of news that much bigger. It’s been a huge week of entertainment news on The Howard Stern Show. Monday, Tina Fey finally revealed the identity of the SNL colleague who once called her the C-word in the trenches of 30 Rock. 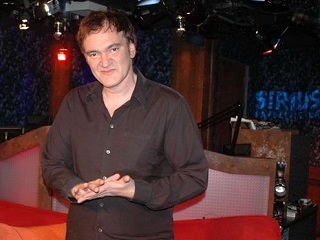 Today, Quentin Tarantino railed about how Disney’s heavy-handed Star Wars exhibition tactics are negatively impacting The Hateful Eight’s forthcoming imprint at Arclight Cinemas. And Tuesday, Adam Sandler made up with his NYU days idol, smoothing over some years roiled by Stern’s persistent digs. On that program, the comedian also stated that the consistently bad reviews he receives for his movies bother him only in the sense of how they might affect the friends that he enlists for each project.